J Lo Stringing Along DJ Khaled ... Thongs for Memories!!! DJ Khaled -- and lots of other people on a music video set -- could probably need a neck brace after eyeing Jennifer Lopez's wardrobe. 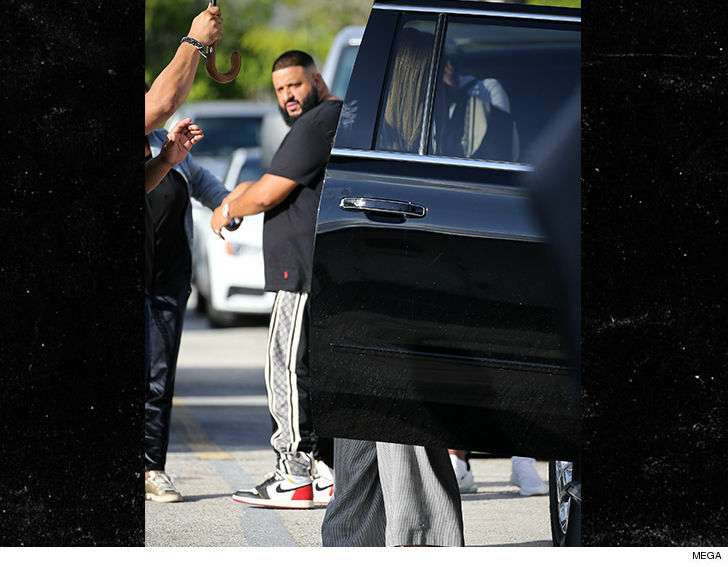 Khaled and J Lo were shooting Thursday in Miami, where she was rocking a highly visible thong. Her pants for the video were hanging just low enough to put a virtual spotlight on her underwear. Yes, even in baggy pants ... Jenny's still got back and Khaled seemed to be getting one last look as they both left the set. Ya can't blame him. Stopping men in their tracks is kinda what J Lo does. No word yet if Khaled's cooking up a remix with Sisqo.